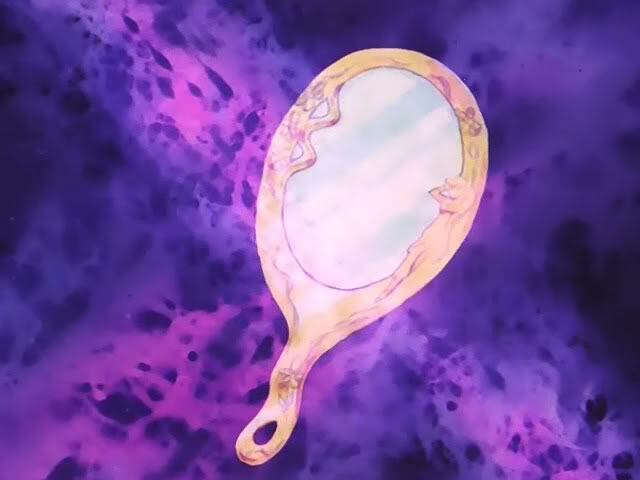 Due to the very nature of the names of the planets and their connections to astrology, it’s fairly obvious why Ms. Takeuchi and the directors of the Sailor Moon anime used a lot of Greco-Roman mythology in the creation of the characters and universe. That’s why it comes as a bit of surprise that suddenly they would take a turn to an interesting mix of Christian, in the form of the Holy Grail,1 and Japanese, in the form of the three talismans, when creating the story behind the Death Busters story arc. Though the story of the Holy Grail is pretty well known in the west (indeed, there’s even a popular comedy2 written about it), the story behind the three talismans is much less well known. So what exactly are they, and how do they tie into the story? Any fan of Sailor Moon who is also a student of Japanese history has probably had that shocking moment of realization where you hear about the Three Sacred Treasures (三種の神器; Sanshu no Jingi)3 of the Japanese Imperial family and make the connection with the Outer Soldiers. The Three Sacred Treasures consist of: the sword Kusanagi (草薙の剣; Kusanagi no Tsurugi),4 the mirror Yata no Kagami (八咫鏡),5 and the jewel Yasakani no Magatama (八尺瓊勾玉).6 These correspond to the Space Sword, Deep Aqua Mirror, and Garnet Orb respectively. So what are the Three Sacred Treasures? I’ll spare you the detailed background here since there are a lot of other good resources7 for reading up on them, but in short, these three artifacts supposedly come from the goddess Amaterasu and have been presented by the head Shinto priests to upon the ascension of a new Emperor to the throne and serve as a sign of their direct connection to the gods. Now that we know that they are, let’s take a look at each of the talismans individually, and see how they fit into the Japanese myth! 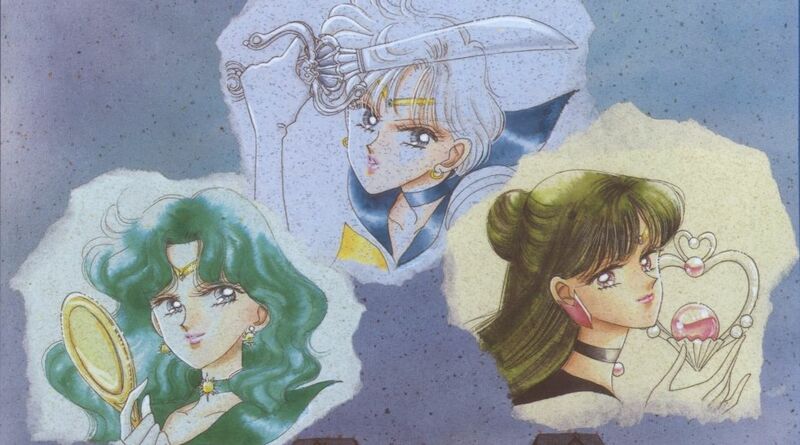 Kusanagi is said to represent valor, which makes it a pretty spot-on choice for Haruka / Sailor Uranus. Its original name was Ame no Murakumo no Tsurugi (天叢雲剣; lit. Sword of the Gathering Clouds of Heaven), which furthers the connection between the Soldier of the Wind and the sword. 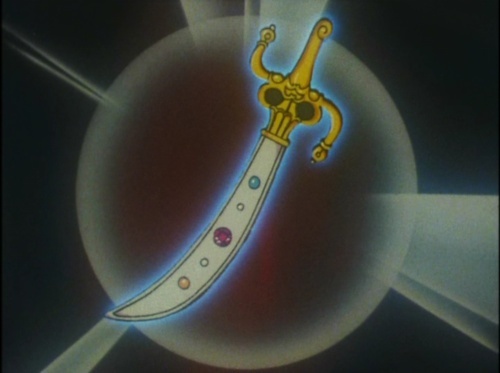 Though the sword itself has never actually been seen, it’s probably safe to say that some liberties were taken with the design in Sailor Moon over what it would have actually looked like. The only description we have of its design comes from the Shinto priest Matsuoka Masanao, who described it as shaped like a calamus,8 which would imply it was more likely to be a short, double-edged blade rather than the katana more popularly associated with Japan. Read also: Was Codename: Sailor V Inspired by a Volleyball Manga? 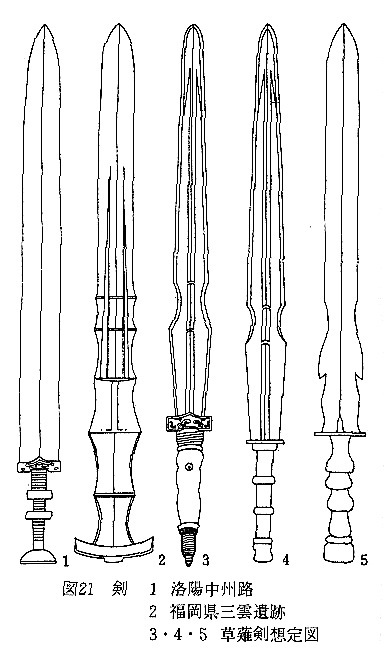 Masakuni Ishii9 has provided several proposed designs for the sword based on other examples which have been uncovered dating back to around the same time and other samples from China, where many Japanese swords would have come from back at the time that the sword was originally conceived. How well does the Space Sword match with Kusanagi? Well, the manga’s design actually ties in pretty well, with both the length and fact that it’s double-bladed being about right. 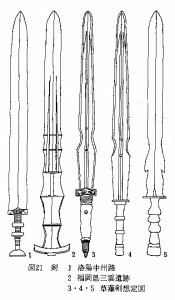 The anime, however, takes a pretty extreme turn with the design, looking much more like a scimitar,10 a type of sabre popular throughout the Middle East. It even goes so far as to add jewels along the blade of the sword and a bejeweled golden sheath. How does the Deep Aqua Mirror compare with what the original would have looked like? Well, unfortunately the design in the anime and manga (which is nearly identical between the two) doesn’t come very close. Back in ancient Japan, mirrors were incredibly rare, were more ceremonial in nature, and were made of polished bronze. Further, Yata no Kagami was said to be hung outside the cave to lure out Amaterasu from hiding, implying that it was not a hand mirror. What’s more, word yata in Yata no Kagami itself is the same character as that for the number eight, meaning it was more octagonal in shape. Yasakani no Magatama is said to symbolize benevolence which, though definitely not inapplicable to Setsuna, it isn’t exactly the first word that comes to mind when you describe her. In fact, though the other two talismans differ here and there with their respective counterpart of the Three Sacred Treasures, I have to say that the Garnet Orb differs most extremely from its inspiration. The design itself (shared between the anime and manga) differs quite a bit from that in Japanese history, since a magatama 11 is a comma-shaped jewel, typically with a hole in the larger end and a string to be used as a necklace. Judging by the kanji used to make up its name, it can be assumed that it was reddish in color, so at least that part is correct! 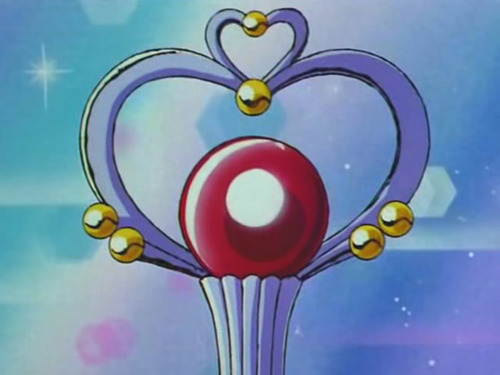 As for why Sailor Pluto’s talisman differs so extremely while those of Sailor Uranus and Sailor Neptune were so spot on, it’s most likely related to the fact that the Soldier of Time and her Garnet Rod (and by extension, the Garnet Orb) were designed during the Black Moon Family arc before the connection with the Three Sacred Treasures was even conceived and so Ms. Takeuchi didn’t have much of an opportunity to modify the design. So there you have it! Unfortunately, things get even more complicated due to the differences in the manga and anime in how you want to interpret the connection between the three talismans and how they represent the “coronation of the Emperor” either through the awakening of Sailor Saturn of Super Sailor Moon, but at the very least they were strongly inspired by Japanese mythology. It’s nice to see the Japanese traditions extend beyond enemy names for once! ← Could Haruka Actually Be a Race Car Driver?